Sadat X (born Derek Murphy; December 29, 1968) is an American rapper, most famed as a member of hip hop group Brand Nubian. Originally known as Derek X, Sadat takes his name from former Egyptian president Anwar Sadat. The X is taken from the Nation of Islam practice of members changing their surnames simply to X. He is well known for his unique, high-pitched voice, as well as his Pro-Black, and at times controversial, lyrical content. Sadat X debuted with Brand Nubian in 1989, with the release of their debut single Brand Nubian b/w Feels So Good. The group's debut album, One for All, was released in late 1990, featuring the singles All for One, Wake Up and Slow Down. The album was widely acclaimed, inspired by the teachings of the Nation of Islam, similar to many groups of the era, including X-Clan, Public Enemy and Poor Righteous Teachers. One For All is now considered a classic hip hop album, and was awarded a 5 Mic rating from popular magazine The Source. Brand Nubian returned in 1993 with the album In God We Trust, which featured the hit single Punks Jump Up to Get Beat Down. Sadat received a bit of controversy following the song's release, due to alleged homophobic content. Following the mixed reviews from the group's third album, 1994's Everything Is Everything, Brand Nubian split up to pursue solo endeavors. In 1996, Sadat released his first solo effort, Wild Cowboys. The album featured production from Pete Rock, Da Beatminerz, Diamond D, Showbiz and Buckwild, as well as a pair of hit singles, Hang 'Em High and The Lump Lump, the former charting on the Billboard Hot 100. Sadat reunited with original Brand Nubian members Grand Puba, Lord Jamar and DJ Alamo for a reunion album, Foundation, released in late 1998. The album was well-received, and featured the crossover hit Don't Let It Go To Your Head. After the album, Brand Nubian broke up once again for solo endeavors. 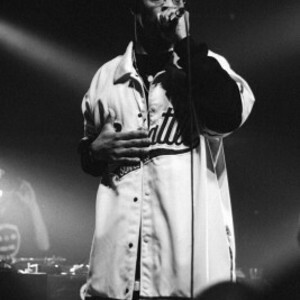 In 1999, Sadat made possibly his most famous guest appearance with Common, dropping a verse on the single "1-9-9-9", from the rawkus records compilation Soundbombing 2. Sadat released an EP in 2000, titled The State of New York vs. Derek Murphy, which featured the single Ka-Ching. Brand Nubian reunited once again in 2004, for the release of the album Fire In The Hole. The album was seen as a disappointment, and the group split again for solo albums. Sadat released his second full length album, Experience & Education, in 2005, featuring production from Diamond D, DJ Spinna and Minnesota. On December 22, 2005, Sadat was arrested in Harlem and charged with criminal possession of a weapon, reckless endangerment and resisting arrest. On October 3, 2006, Female Fun Music released Sadat's third full-length album Black October. Sadat is involved in teaching children. Has worked as an elementary school teacher in New Rochelle, New York. Qualified as a firefighter in New Rochelle, New York. Coaches children's basketball for the New York City Basketball League. He also played point guard for the Howard University basketball team. On March 23, 2010, Sadat X released Wild Cowboys II, the long-awaited sequel to his 1996 solo debut Wild Cowboys, on Fat Beats Records. The album featured several guest appearances from Ill Bill, Kurupt, A.G., Brand Nubian, Rhymefest and others, with production from Pete Rock, Diamond D, Buckwild, Sir Jinx and others. On February 23, 2010, he released an EP, containing five songs from the album and their complementary instrumentals, which is currently available at any music store. The first single from the album is Turn It Up which features, and is produced by, Pete Rock. A music video for the song premiered on March 12, 2010, which contains cameo appearances from different New York veteran rappers. On July 4, 2011, Sadat X released No Features produced by Will Tell.